OptTek is home to some of the most talented men and women in the fields of analytics, data science, statistics, commercial software development, and computer modeling among others. Thanks to their boundless intelligence and dedication, the OptTek team is able to solve even the most complex challenges our clients face. One of OptTek’s founders, Dr. Kelly continues to lead all aspects of the business. He also provides oversight and guidance to each of OptTek’s three business units. 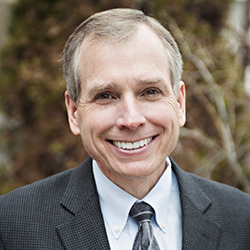 Dr. Kelly was a Professor in the College of Business at the University of Colorado. He holds bachelors and masters degrees in engineering and a Ph.D. in mathematics. 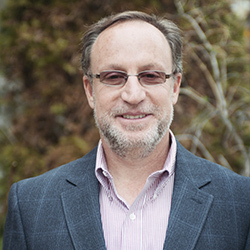 Dr. Kelly has authored or co-authored numerous published articles and books in the fields of optimization, disclosure limitation, computer science and artificial intelligence. His interests focus on the use of state-of-the-art optimization techniques for providing competitive advantages in engineering and business. Dave is the primary interface for all OptTek commercial clients in providing excellent customer care. Dave brings his 25+ years of account management and client support experience in the high-tech arena to provide an effective single point of contact for all customer matters, business, contractual, etc. Prior to OptTek, Dave managed strategic accounts for Deutsche Telekom North America and provided business, marketing, and operational support for a variety of software development teams at Bellcore/Telcordia. 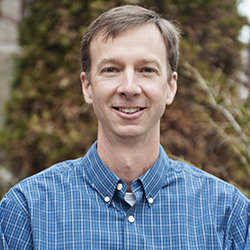 Dave holds an MBA in Finance from Seton Hall University and a BA in Economics from Bucknell University. Dr. Marco Better manages all activities related to the implementation, delivery and service of our production scheduling and workforce planning solutions. Dr. Better obtained his Ph.D. in Operations Research from the Leeds School of Business of the University of Colorado at Boulder. He holds a B.S. in industrial engineering and an M.B.A. Dr. Better has over 20 years of professional work experience in the automobile, banking, and telecommunications industries, both in the US and in Latin America. Dr. Better teaches courses in International Business and Business Process Analytics at the Leeds School of Business. His current interests lie in the application of optimization, simulation and predictive analytics technology to solve complex problems in industry. Dr. Thengvall has extensive experience solving complex problems in the commercial and government spheres where he has designed and implemented software that embeds state-of-the-art approaches from the fields of mathematical modeling, real-time optimization, transportation and scheduling, agent-based and discrete-event simulation, and simulation optimization. He earned his M.S.E. and Ph.D. in Operations Research and Industrial Engineering from the University of Texas at Austin. Dr. Thengvall has taught at the Peter Kiewit Institute at the University of Nebraska and at the McCombs School of Business at the University of Texas. He is the author of numerous journal articles and book chapters and holds multiple patents related to software and optimization. Mr. Joshua Snyder is responsible for managing the software engineering process for all of OptTek’s multiple business lines. He has wide-ranging experience directing software development teams through program and product management, as well as designing and implementing software and algorithms for both desktop and web-based applications. 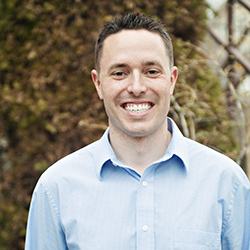 Josh holds a bachelor’s degree in Mathematics and Information Systems from Nebraska Wesleyan University and a master’s degree in Computer Science from the University of Nebraska-Lincoln with focuses in Foundations of Constraint Processing and Artificial Intelligence. He has also co-authored multiple articles on constraint based approaches to gaming. OptTek has built a team that draws on expertise from internationally recognized leaders in the area of optimization. If you are interested in joining our team of innovators, contact us.